TAMPA, Fla. –- In the world of academia, the phrase “publish or perish” is symbolic for the longevity of many professors’ careers. At the University of South Florida College of Arts and Sciences, John Fleming is on the path to immortality. Fleming, an associate professor in the Department of English, has recently published his fifth book. 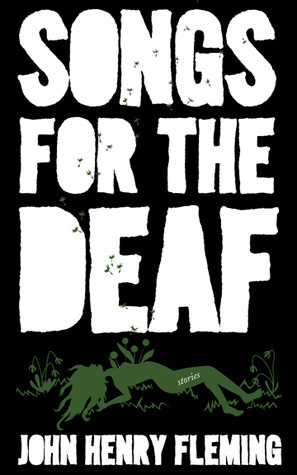 His new book, “Songs for the Deaf,” is scheduled for release on March 12, 2014, by Burrow Press, an indie literary press stationed in Florida. The book features a collection of 11 short stories previously published in literary journals by Fleming during the last 20 years such as McSweeney’s, Mississippi Review, and more. Fleming expressed excitement about the upcoming release of his first collection. The professor is thankful for the opportunity to reach a larger audience outside literary journals. “It feels like a big stepping stone in my career to get all these things collected,” Fleming said. Stories within the collection are unquestionably a variety -- stories about dysfunctional families, teen messiahs and crash landing of aliens are sure to captivate readers. Undoubtedly, the book has something to offer for everyone. In promotion of “Songs for the Deaf,” enthusiastic fans will have the opportunity to make online radio dedications with sentences from the book in the upcoming weeks. Due to the positive news buzz surrounding his new book, Fleming also is happy for the promotion of literature and his publishing company. “I’m excited to promote the book not just for me but for Burrow Press and promoting literature in the state,” Fleming said. Fleming teaches undergraduate and graduate classes in the Department of English. His courses include Fiction I, Fiction II, Fiction Writing, Craft of Fiction, Literary Editing and Publishing. The professor also serves as editor of Saw Palm, a literary journal penned by graduate students in the creative writing program at USF.